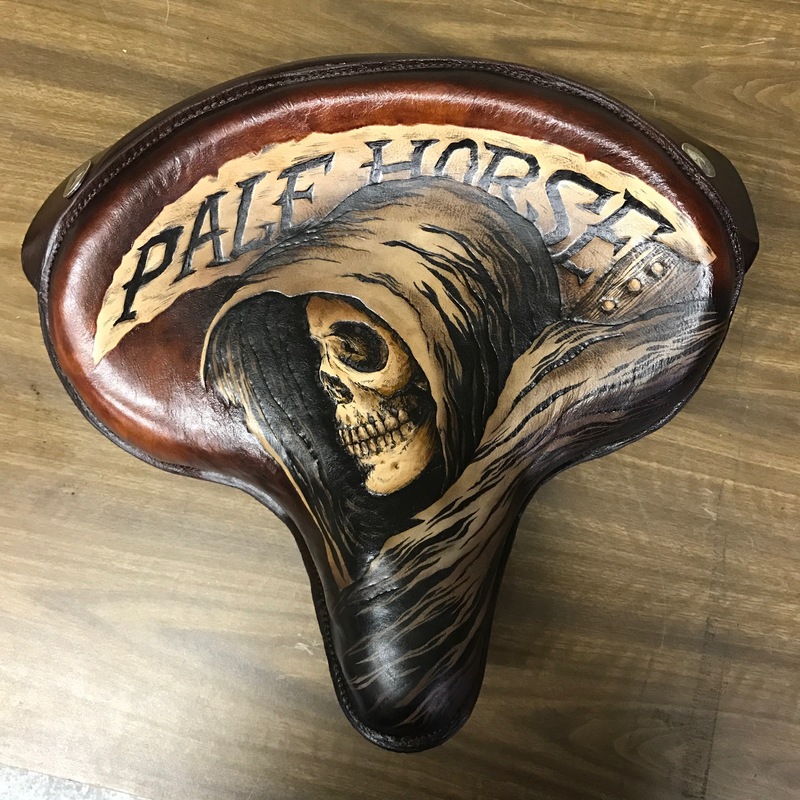 Making a custom seat is something that our small shop has grown to appreciate and enjoy. Much of our leather work focuses around music gear, but motorcycles have always been a true passion. Over the last year, more and more seat projects started to come through the door and we are now offering more expansive of an approach to handle custom needs. Our custom work focuses more on an illustrative style rather than a stylistic upholstery approach.